Sound business decisions require real-time data. It’s difficult to staff events, apply for grants or recruit volunteers if you don’t have a clear picture of your needs. 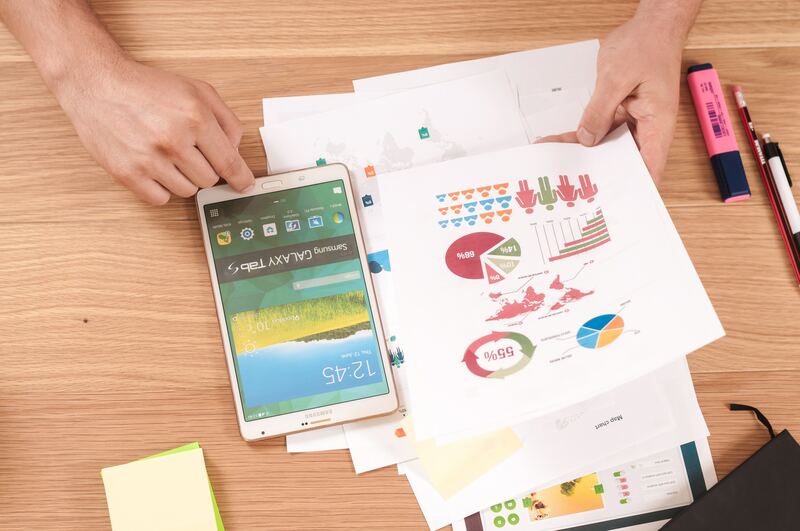 VolunteerMark’s robust reporting tools provide nonprofit organizations the power to solve those challenges by providing organizational data about their volunteer engagement. Under the VolunteerMark Reporting Tools tab, you can view valuable volunteer information in color graphs and charts that can easily be shared in PowerPoint presentations or literature for current and potential donor presentations, volunteer newsletters or other stakeholder communications. 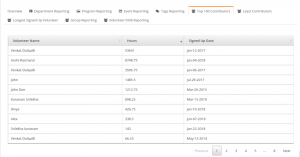 With the reporting tool, you can view volunteers by department, event, program, hours served, birthday, sign up date or by tags customized for your organization. 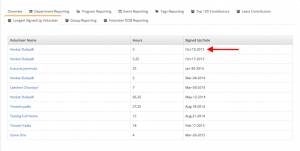 With the custom tags feature, the type of useful data you can incorporate into your analytics is endless. In addition, all of the reporting tabs can be sorted by date, so you can see an entire year of volunteer activity or just last month. With VolunteerMark’s reporting tool, you’ll always be one click away from the information you need. 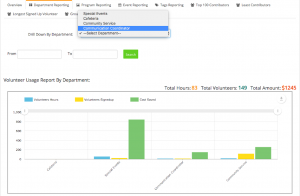 The Volunteers by Department tab allows you to view the number of volunteers by department. 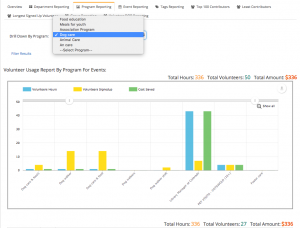 The Volunteers by Program tab allows you to view the number of volunteers by program. The Volunteers by Event tab lets you see how many volunteers signed up for a particular event, how many hours they served and the costs you saved. Sometimes you’ll need to group volunteers by their sign up date. The Volunteers by Sign Up Date tab allows you to see when volunteers began working for your organization and how many hours they’ve volunteered. 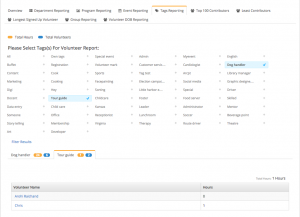 Unlike other volunteer management software that provides limited filters, VolunteerMark’s Volunteers by Custom Tags gives you the power to custom tag and sort volunteers. For example, you may tag volunteers by city, school or language. In a few clicks, you can see which schools have the highest volunteerism rate, where most of your volunteers live and which volunteers speak Spanish. You can even use multiple tag features, so you could find which volunteers speak Spanish in a particular part of town. The opportunities are endless. The Volunteers by Hours tab allows you to quickly see a list of volunteers and the number of hours they’ve served. You may have an award that requires a certain number of hours, or you may want to see volunteers that are in danger of dropping out based on their low volunteer hours; this tool gives you that information in seconds. For more information on how VolunteerMark can help your organization, schedule a demo today or test out the features yourself by signing up for a free, 30-day trial! Next Post The Top VolunteerMark FAQ, Answered!